Here is another card from the Black & White class. 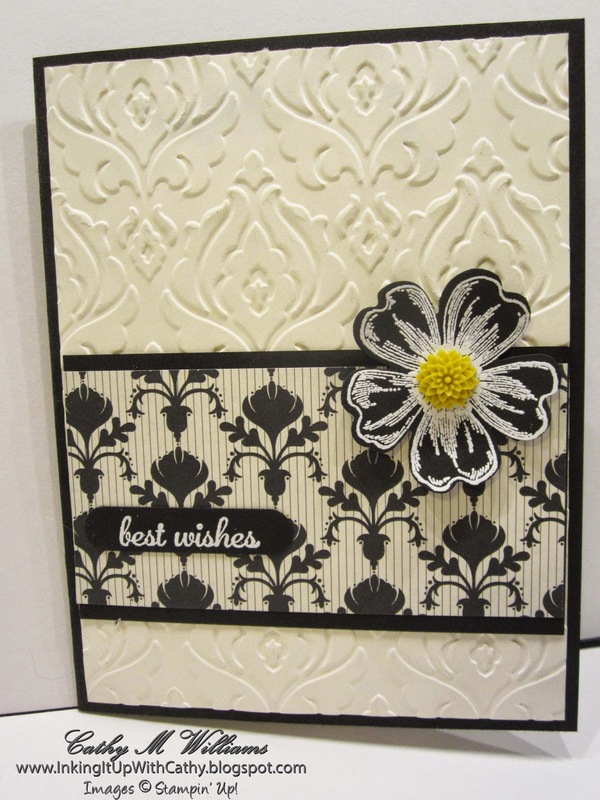 Both the sentiment and flower were stamped with Whisper White Craft ink and embossed. The flower was then punched out with the Pansy punch. 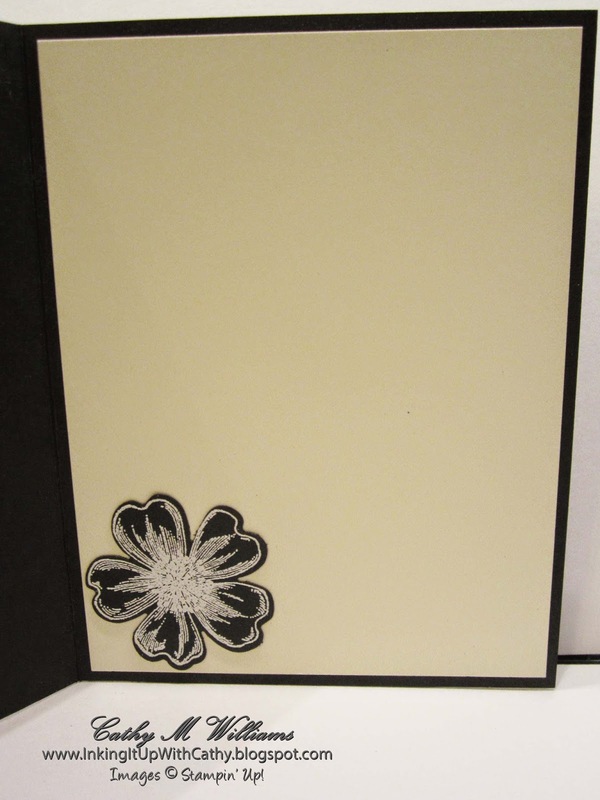 For the inside of the card, we just embossed and punched out a flower and glued it inside the card. super easy and cute!